There have been countless volumes written on leadership. Some are mechanical how-to guides. Some present broad view philosophies on all that it means to be a good leader. And more than a few have made it to the best-seller lists. But what if you were to put them all in a juicer and extract only the most potent leadership concentrate? What are the must-have leadership skills that no one aspiring to long-term success can do without? Think of all of the elements you might include in the definition of a great leader. While we might differ on the details, there are two attributes that all great leaders exhibit. Attributes that permeate all their other skills and talents. First, they lead with constant awareness and concern for those around them. Their team truly matters to them and they embrace the concept that leading is serving. Second, their ability to lead is constantly present. In any given situation, they’re able to assimilate whatever is necessary to effectively respond. Here’s a brief look at each of these must-have leadership skills as presented in two newly-published books. There’s plenty of so-called leaders in our world who clearly have only their own interests at heart. But selfish motives and self-serving agendas are only thinly veiled. Sooner or later, those who are in dependent roles will lose patience and faith. Leaders who go about their work with a mindset of serving get quite different results. Their achievements are lasting. They are respected by those they lead and serve. They are, by any measure, part of the family of their team. Renowned expert Ken Blanchard with Renee Broadwell have assembled the insights of dozens of successful leaders in their new book “Servant Leadership In Action.” As the subtitle says, they show you “how you can achieve great relationships and results” as a servant leader. 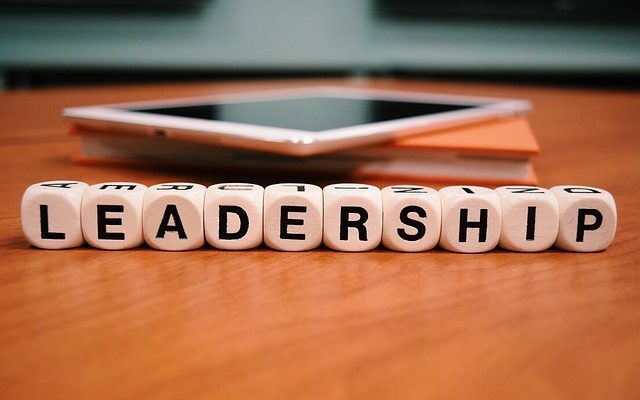 I doubt you will find any book or course on leadership that delivers a more on-target message of the essential element critical to being a truly great leader. Get a copy. It’s coming out March 6. Read it. Be it. Highly effective leaders are able to think and respond quickly. When necessary, they can formulate and deliver powerful messages and responses on the spot. And, remain congruent with their highly valued reputation. If you’ve got aspirations to be a leader, even a great leader, this book is a must-read. If being at the top of your profession and occupying the c-suite is part of your goals, pick them both up and get prepared to take your career to the next level. Tips on Getting Over a Cold, Fast!